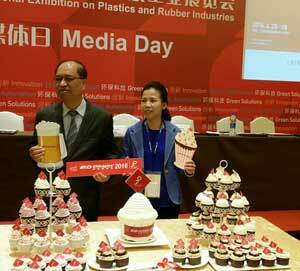 The Chinese plastics exhibition that started in 1983 in Beijing has come a long way since then said organiser Adsale Exhibition Services. From Beijing it moved to Shanghai and hence celebrates its 30th year. This year’s edition will span 240.000 sq m, compared to 2,000 sq m in 1983, making it the second largest plastics exhibition in the world, after the Dusseldorf-held K show. It will have 3,300 companies, compared with 100 exhibitors in 1983, which is a record for Adsale and in spite of the less favourable global economies, said Ada Leung, General Manager of Adsale, speaking at the Media Day. The show will have 1,000 raw material/chemical exhibitors in a new themed area and 3,800 machinery, with more than half of the machinery manufactured in China, highlighted Stanley Chu, Chairman of Adsale. 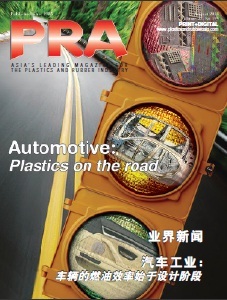 “China has been the world’s largest producer of plastic machinery for 15 years but it is still slacking behind Japanese and European counterparts; but it is catching up,” said Stanley. “The purpose of Chinaplas is not to be the largest in the world but to focus on technology,” he said, adding that the organiser will keep monitoring the situation. This year, the organiser expects 140,000 visitors to visit the show with 25% from over 150 countries and regions around the world. The show also has a new logo this year, comprising three circles, starting from small to big, complete to incomplete and from low to higher position, said Ada. It symbolises that Chinaplas started from small to its current growth. Chinaplas 2016 takes place from 25-28 April.